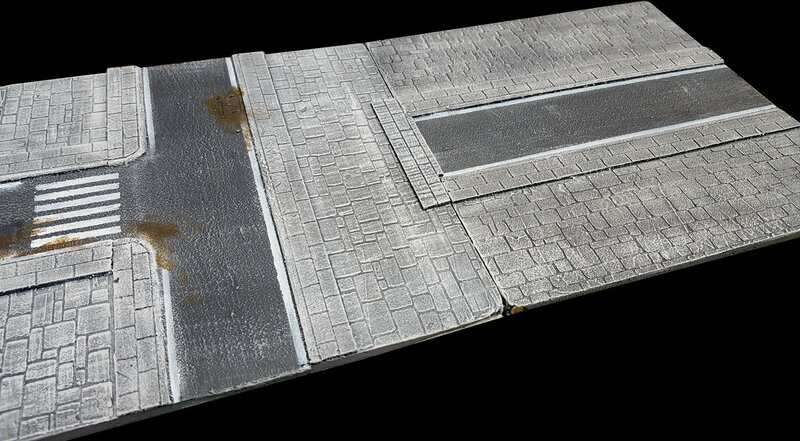 By choosing this add-on, you can add any number of small pieces (resin strips) you will be able to use on your existing tiles to "transform" any road edge into a dead-end. This is NOT a separate tile design. Make sure you choose the same Theme for the strips as the one in your main Set. You have to pre-order a Base Set before adding any of these addons in your order. As you can see from the picture, these add-ons are small resin pieces which look like pieces of pavement from each Theme, which you will be able to place on road ends. Their purpose, apart from allowing you to have "dead-ends" on your board, is to give you full freedom to arrange the tiles any way you like, without worrying if the roads will "connect" to each other.